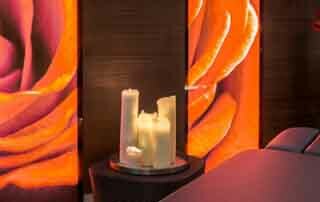 Enjoy a romantic wellbeing break at the Hotel Restaurant SPA Rosengarten in Kirchberg with private SPA treatments and a butler breakfast. Enjoy a short romantic break at Relais & Châteaux Rosengarten in Kirchberg with culinary delights, SPA experiences and an Alpine balloon ride. No time for a honeymoon? Enjoy a minimoon at the Small Luxury Hotels of the World GROSSARLER HOF in Grossarl, SalzburgerLand.